Geoff @ EPS loves to do a 12-degree split and center the overlap. He does it to make more topend power at the expense of a little less midrange torque. I think most folks would agree that's the way to go. Fun discussion. Some things I would add for you to consider on your exhaust valve events are the exhaust tract as a whole, RPM and power levels. The Whole System: Camming an engine requires that you look at the whole system, not just the head. So the intake tract and exhaust system play a role too. On the exhaust side specifically, head design, valve size, header design and exhaust after the header all play a part. RPM: As RPMs increase, you have less time to evacuate the spent exhaust gasses, so you may have to open the exhaust valve earlier to get it out to reduce pumping losses as the RPMs increase. Power levels: If you notice, most forced induction cams and nitrous cams have a much earlier exhaust valve open event. This is because there is more spent gasses in the cylinder to evacuate, so they need more time to get out. This is a consideration in a naturally aspirated engine also. An engine with a very high volumetric efficiency that makes more power will need an earlier exhaust valve open event to evacuate the additional spent gases to avoid pumping losses. Consider an engine that operates at lower RPMs and has lower volumetric efficiency. In this case you may want less exhaust duration bias. Conversely, and high RPM engine that has a high volumetric efficiency and producing a lot of power will most likely want more exhaust duration bias. www.CamMotion.com • ☎ 225-926-6110 • Like Us On Facebook! 100% agree with this. I find when I look at valve events that support high rpm and carrying well past peak, you have early EVO. If you have an early EVO you're going to have a large exhaust bias unless you choose not to center the overlap. But most broad power curves I've seen are basically centered overlap. You're all but guaranteed a large split. Conversely if building for midrange RPM, I see later EVO which is great for that application, but I tend to see them peak and fall faster. They generally end up with lower split numbers. Jake is a great guy. I was looking through your website on cams offered and so is it the Duration spread (231/250) that gives a cam the lopey idle more so than having LSA of 110 or 111? So basically my cam specs currently at 243/251 with a .623/.623 111LSA +1 and if I'm understanding this would be considered a Top End cam. 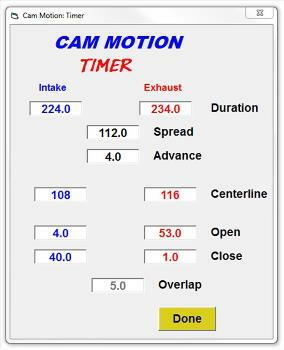 Can people with knowledge and experience tell if a cam by the specs is a Nitrous, Turbo, Supercharged, or N/A cam? Yeah have to agree, Jake is pretty cool about always lending advise and good points to anymore that asks!! That camshaft would be a really nice hot street cam for a stroked N/A LS engine like the 383 LS1 or 402-416" LS2 or LS3. You can spray it with a small shot too if you wanted to do so. Overlap is the time when the intake valve and exhaust valve are open simultaneously. For example, in the 243/251 111+1... the intake valve opens 11.5 degrees before TDC and the exhaust valve closes 13.5 degrees after TDC. When you add those two numbers together you get 25 degrees of overlapping valve open events. The lope and power come from basically catching the incoming intake charge and pulling it through the exhaust before the valves close. In terms of fluid dynamics, imagine surface tension with water. Being able to "hook" the incoming intake charge to the exhaust/spent charge adds momentum to create more cylinder fill... which creates horsepower. It's also what allows unburnt fuel to exit out the exhaust at idle and why a big cam lopes and misses at idle. And it's why we see an earlier EVO event produce more topend power as you open the exhaust valve earlier and earlier to "catch" the incoming intake charge. 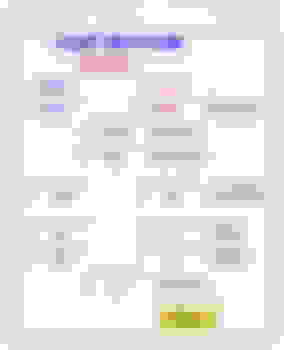 If you guys want to take the overlap discussion even further as well as an even more advanced topic, check out my sticky that I made when I was at Tick. It's under [email protected] now, but I wrote it several years ago. To explain this, I would want to discuss pressure differentials. Air flow is created when higher pressure air in an area or container is given a path to an area or container where there is lower pressure. The higher pressure air will rush to the low pressure area until the pressures equalize. This is the dynamic that causes air to flow through an engine. When the piston moves down the cylinder, it creates a void. When the intake valve opens, this low pressure area is filled by air of higher pressure in the intake tract. After it is compressed, ignited and burned, these high pressure exhaust gasses rush out through the opening exhaust valve into the low pressure area in the exhaust manifold or exhaust header. At idle, the intake manifold is under vacuum. Or, low pressure. During the overlap cycle, both the intake valve and the exhaust valve are open slightly at the same time. Since there is a vacuum in the intake and none in the exhaust, the exhaust is the higher pressure area and the intake manifold is the lower pressure area. So, the higher pressure exhaust gasses rush toward the intake tract. How much exhaust gasses rush into the intake manifold depends on how much and how long the valves are open at the same time. This is the effects of overlap. Think of it as a similar effect to a vacuum leak. But instead of fresh air from the atmosphere through a typical vacuum leak, it is exhaust gasses rushing in. This is what gives high overlap cammed engines a rough idle. It is also why they need to idle at a higher RPM without stalling. Overlap makes 4 cycle engines less "efficient" at idle. At high RPM, high-speed, high-pressure exhaust gasses leaving the cylinder through the exhaust valve into the exhaust header creates a vacuum in their wake after the exhaust valve closes. When the engine is in the header's tuned RPM range, there will be a low pressure area in the exhaust header during the overlap cycle. At wide open throttle, the pressure in the intake manifold will be very close to or at atmospheric pressure. So, the pressure in the intake will be greater than the pressure in the exhaust. This causes the air in the intake manifold to rush toward the low pressure area in the exhaust even before the piston starts moving down the cylinder. This "head start" on moving the air from the intake toward the cylinder helps create a stronger "signal" to the intake tract and results in better filling of the cylinder at high RPM and hence more horsepower. Overlap can make 4 cycle engines more "efficient" at high RPM. Ported stock heads don't improve the I/E ratio... they just pump up both numbers. You have to look at aftermarket castings to see a difference. Most still stay in that 70% range, because they dedicate more of the bore to the intake valve. On my first read of this thread I missed this little tidbit. It goes against what I read previously so is a great bit of info and makes your comment below make sense to me. You can run up to about 4 degrees of overlap and keep the bucking at a minimum to zero. You will need more exhaust duration with that exhaust. You'll need a crutch. If you want it stealthy, anything under about -4 will get you there but closer to -10 will really have little chop. I'd honestly do a 218/230 .612/.595 115+4. IVC of 40 and EVO of 54. -6 degrees of overlap. So not far off from what you were looking at. I have been looking around for an off the shelf cam that is close to what you recommend and the closest I found was a cam from the now closed Thunder Racing: cheaTR v.3 219/230 .607" .604" 117. This cam has an overlap of -9.5. The next closest I found was the Lingenfelter GT11 215/231 .631" .644" 118. This has an overlap of -113 but a lot of lift. I had always thought these style true stealth cams were more to make up for the stock intake and exhaust (plus provide an undetectable idle) so if you were looking at a car with a better flowing intake, heads and exhaust but not big flowing stuff like twin 3", aftermarket heads and Fast manifold you would look to trim these up a bit but your posting shows that I may still need something closer to one of these cams still. Lots to consider still. Yep. I usually just liken it to a hook or other mechanism to make it easiest to visualize. Pressure differential is a hard thing for most to visualize. Just as talking vacuum is not really correct either. It's the differential in pressure that causes an engine to run. I think if you ever turn an engine over by hand, you can hear and feel the sucking and pushing of air. And you don't want to wait for the piston to push spent charge out of the exhaust. You want to start it before the exhaust stroke so you can maximize the resulting pressure delta. Yeah sorta like a vacuum leak is technically incorrect. It's air leaking in not vacuum leaking out. Although we read a vacuum gauge to see the health of a motor. Nothing wrong with it. Just understand what you're measuring on that gauge. Of course, with a carb, that vacuum gauge was what you had to help dial in a motor and troubleshoot it. I still read the kPa/Hg readings when I'm tuning to help troubleshoot or look for vacuum leaks. Or to gauge when I have enough timing at idle/light cruise. Just how much do stroke eats duration? Let's say I have a 440ci motor. Okay then... Let's say I have a 441ci motor. What size will the cam be in this motor equilvent to the cam specs I posted for the 440ci ? General rule is about 8 degrees of overlap per 50cid will equal similar manners (or when swapping to a larger stroke). So a 8 degree overlap cam in a 346... you could run like an 18 degree overlap cam in a 408 and have similar manners. So in a 440... it would be more like a ~23 degree cam. The valve events would be different between the 441 and 440. The added stroke of the 441 means you'd probably need an additional 2 degrees or so to the IVC, IVO, EVC, EVO to get it to work the same. So you end up adding overlap. The larger bore would probably make more power with a milder cam. You see this happen when someone swaps h/c from a 346 to a 370. The added bore eats duration up since the valve events can remain the same due to the same stroke. The stroke is what changes the VE of the engine and necessitates valve event adjustment. As an example of something I was looking at was going to a 240/246 112+2 in a 383 for a wilder setup or a 408 for a milder setup. From a valve events perspective, it would perform like a 230/236 112+2 in a 346. But it went from 8 degrees to 19 degrees of overlap. So you can see where the 408 would tame it a little more with the added cubes and bore. Even still, going to a 416 or 427 would tame it further.